MVQ took an incredible trip last night at our Journeys presentation! 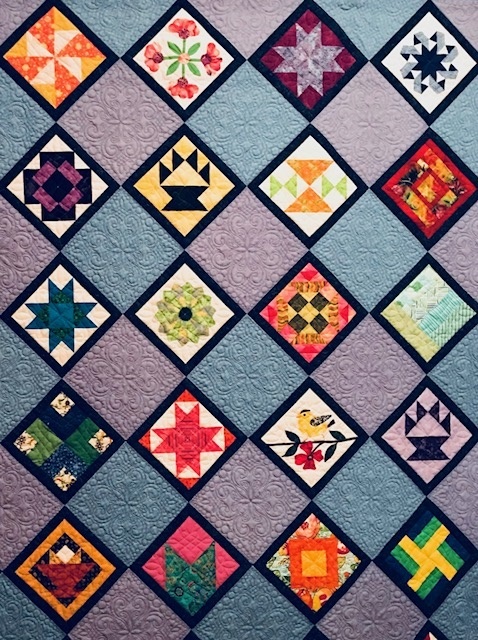 We drove the Pennsylvania Turnpike and pumped our own gas with Jane Hamel as she related the very beginnings of her quilt life! Our trip ended with the mystery quilts of Cathy Harnish and the wedding dress she made when she married St. Thomas 27 years ago! Thank you to these terrific ladies for including us in your Journeys! always the best program. Have you noticed that no one ever leaves early. Three very talented ladies did a wonderful presentation.